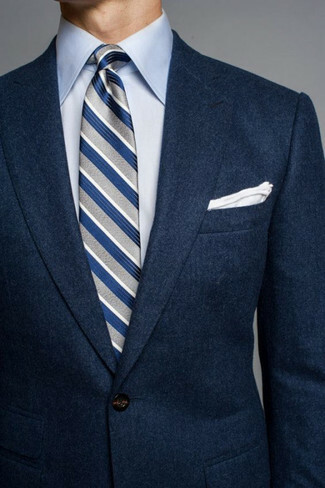 Make a navy wool blazer and a light blue dress shirt your outfit choice for incredibly stylish attire. 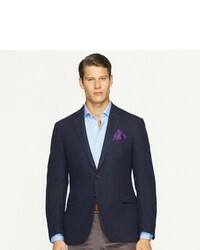 Dress in a Ralph Lauren Black Label nigel wool sport coat and grey dress pants for a sharp, fashionable look. Take your getup into a more casual direction with black leather loafers. 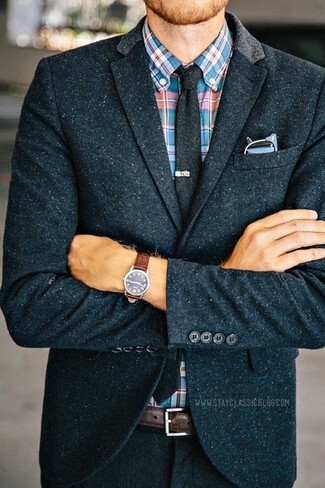 This combination of a navy wool blazer and a multi colored plaid long sleeve shirt is very easy to pull together in next to no time, helping you look awesome and ready for anything without spending a ton of time rummaging through your closet. 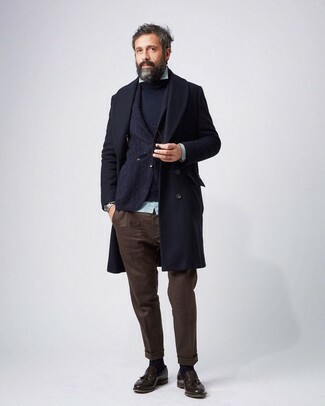 This pairing of a Ralph Lauren Black Label nigel wool sport coat from Ralph Lauren and grey chinos is so easy to put together in no time flat, helping you look on-trend and ready for anything without spending too much time going through your closet. 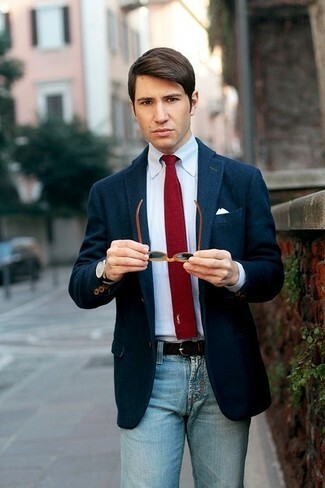 Add a sportier twist to your getup with red plimsolls. Contrary to what you might believe, getuping on-trend doesn't take that much time. 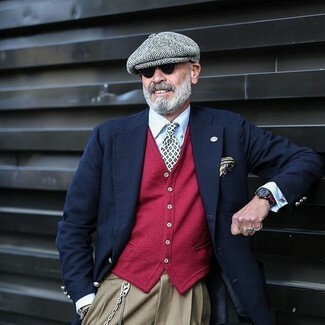 Just try teaming a Ralph Lauren Black Label nigel wool sport coat from Ralph Lauren with light blue jeans and you'll look good. For a nothing less than incredibly stylish ensemble, consider wearing a Ralph Lauren Black Label nigel wool sport coat and black dress pants. Rock a pair of black leather double monks to have some fun with things. 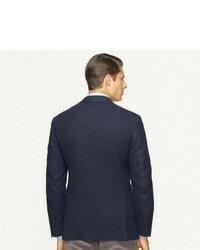 Dress in a Ralph Lauren Black Label nigel wool sport coat from Ralph Lauren and khaki dress pants like a true gent. 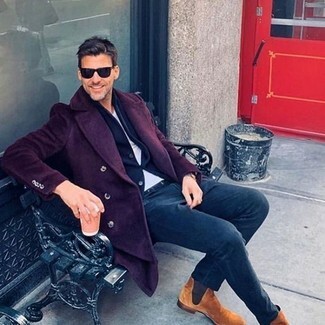 This combination of a Ralph Lauren Black Label nigel wool sport coat from Ralph Lauren and dark brown chinos is so easy to throw together without a second thought, helping you look awesome and ready for anything without spending a ton of time digging through your closet. 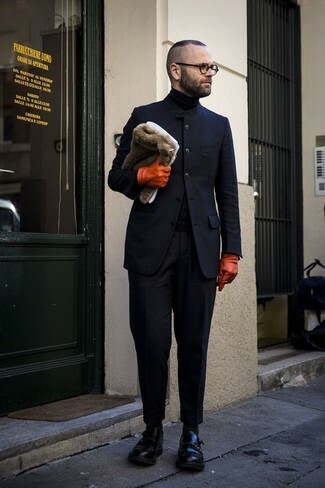 Let's make a bit more effort now and throw in a pair of dark brown leather tassel loafers. 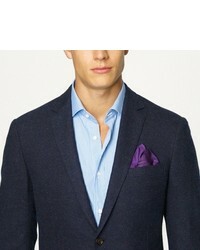 Such garments as a Ralph Lauren Black Label nigel wool sport coat from Ralph Lauren and navy chinos are the great way to inject extra refinement into your daily outfit choices. Play down the casualness of your ensemble with tobacco suede chelsea boots.